Chinley Hinacay is an aspiring conductor and saxophonist, from Calgary, Alberta. Known for the passion and power in his performances, Chinley is steadily making himself known in Western Canada. Receiving a bachelor’s degree in Music Education from the University of British Columbia, Chinley continues his studies in conducting and saxophone under the guidance of Dr. Jeremy Brown at the University of Calgary. 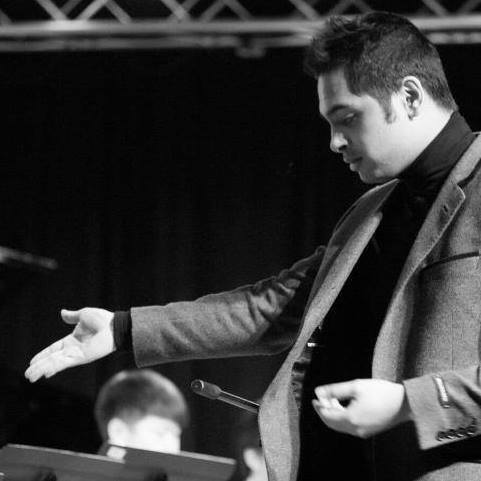 Chinley has led multiple ensembles throughout the Greater Vancouver Area as director, assistant conductor, and guest conductor. Ensembles include the Vancouver Youth Philharmonic Orchestra, the Vancouver Pops Orchestra (formerly the Vancouver Orchestra Club), and the Totem Park Musical Society. Chinley also held the position of ensemble director at the Shangyin School of Music from 2015-2017. Aside from his conducting duties, Chinley Hinacay is also a successful saxophonist, well regarded for his tone and sensitivity of phrasing. Frequently employed as a clinician, performer, and teacher throughout British Columbia, Chinley strives to maintain a high standard throughout his performances and teachings. Chinley has also participated in multiple masterclasses held by some of North America’s most renowned classical saxophonists, such as Frederick Hemke, Kenneth Tse, and Otis Murphy. As a founding member of the Azura Quartet, Chinley has travelled all across North America performing, recording, and attending conferences. Recently, the Azura Quartet had been awarded first place in the chamber category of the 2017 National Music Festival as well as second place in the “Friends of Chamber Music” competition. The quartet received an on-going contract in 2015 with the Chan Centre for the Performing Arts in which works, including those of award winning composers Katerina Gimon and Nova Pon, are premiered.